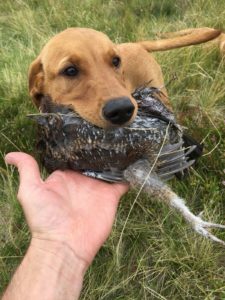 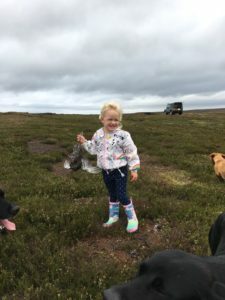 Estates that run driven Grouse shoot days employ additional staff known as “Picker Ups” these individuals have a team of dogs that work throughout the area around the Grouse Butts once the drive has finished, they then try and collect all the birds that have been shot. 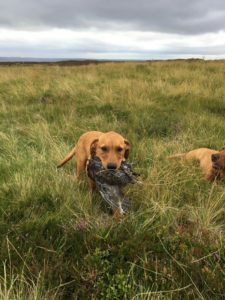 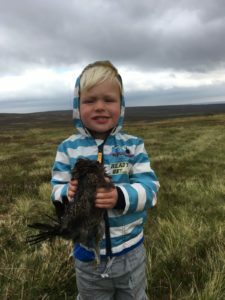 The Gamekeepers will normally re-sweep the areas around the Grouse Butts later on in the day after the shooting is complete or usually the next day. 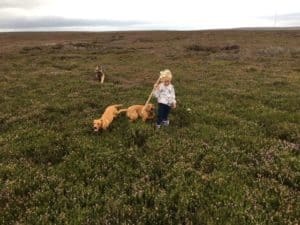 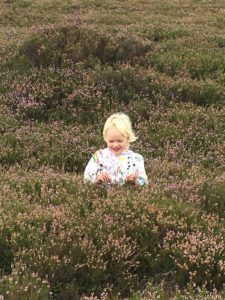 These fab photos show our Gamekeeper and his helpers who definitely look like they’re enjoying themselves, it certainly makes for a different family day out!